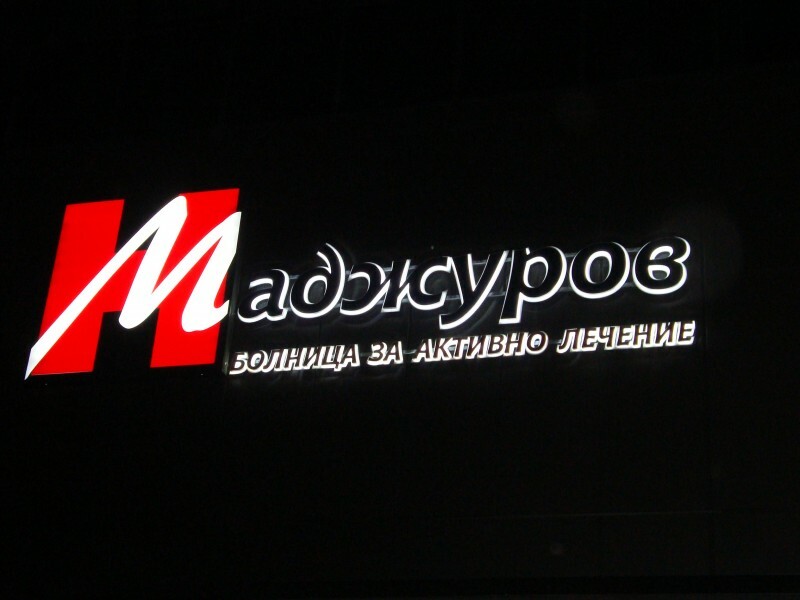 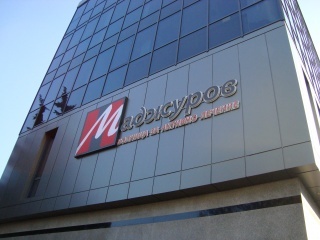 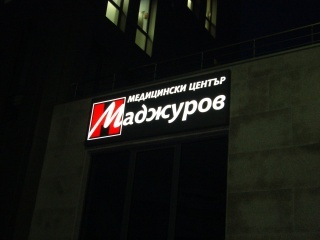 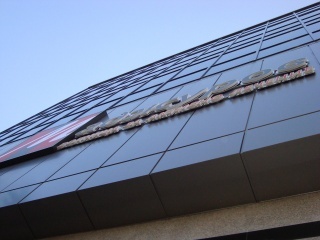 The Madzhurov Hospital logo, representing the company name overlaying the international hospital sign. 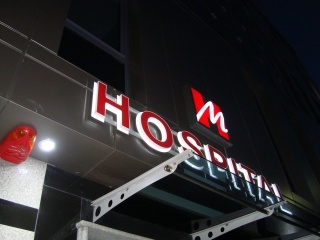 We also created the outdoor add elements - illuminated logo box, 3D letters with dial component aluminium Etalbond Contre-jour, and LED lighting. The architectural lettering in the hospital was also done by us - including ward signs, room signs, and room numbers. 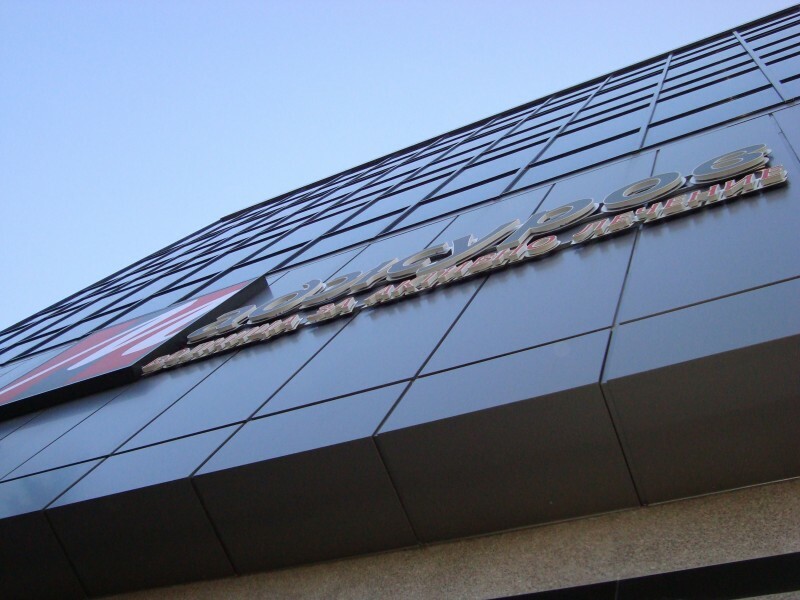 We also designed and printed the advertisement brochures, as well as flash banners for various websites, and advertisements published in the 24 Chasa and Trud dailies.